The jaguar is one of the largest feline species in Central and South America, with an average adult male growing to 7 feet in length and weighing 200 pounds. Their range stretches from the southern tip of Mexico to the thick forests of the Amazon Basin. However, the Amazon, particularly the Pantanal (a large tropical wetland spanning across Brazil, Bolivia and Paraguay), is where the majority of the jaguar population resides. Their habitat has been fragmented due to rapid expansion of agriculture, ranching and continuing deforestation throughout Central and South America. According to Victor M. Villalobos, Director General of the Inter American Institute for the Cooperation on Agriculture, Latin America holds 42 percent of the world’s agricultural expansion potential. With growing human populations in South America and the necessity for economic stimulus, many countries are exploring new options for land use. Agricultural practices have profound effects on biodiversity. Much like the land degradation seen from over-utilization of prairies in the Midwestern United States in the 1930s, poorly managed farming can permanently change the environment and lead to loss of plants and wildlife. Excessive use can change the composition of the soil and the introduction of chemicals and other pesticides can offset water quality, changing the overall landscape. Furthermore, intensive agricultural production of crops such as soybeans and sugarcane creates the need for massive land clearings. For the jaguar, farming fragments and isolates jaguar populations and increases interaction between farmers and jaguars. Loss of jaguar habitat decreases its availability of prey. Jaguars primarily eat smaller mammals, such as the peccary, and fish (unlike most cats they love the water). Humans living in the same area seek the same game species. Consequently, humans recognize jaguars as a threat to their livelihood. With reduced space and increased competition for food, the jaguar is forced to seek non-traditional food sources. Ranching is yet another expanding industry in South America, particularly in Brazil. 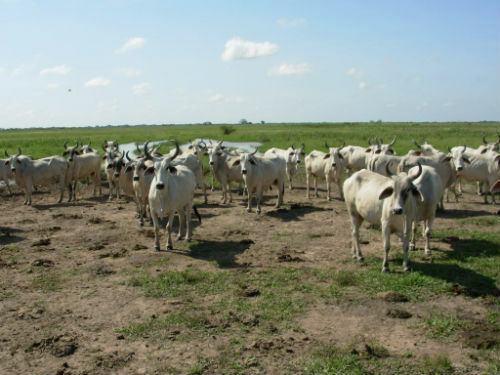 The extensive flood plains and grasslands are ideal landscapes for raising livestock. Cattle, pigs and domestic dogs are often eaten by jaguar in the absence of wild food and when humans have encroached into their space. A pig seems like an easy target to a jaguar, but it often comes at a very high price. Ranchers shoot jaguars to protect their livestock. 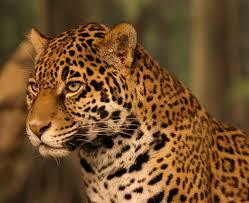 Jaguars are seen as a nuisance and their removal is unregulated, despite legislation protecting the species. Conservationists continue to explore new ways of conserving jaguars. Population surveys and tracking are under way to give better insight into jaguar movements as its habitat is altered. Researchers are identifying important travel corridors used by jaguars, and recommend that local authorities protect these corridors from any change in land use. In addition to comprehensive jaguar management plans, current research is showing a need for improved organization of livestock distribution and intelligent land use planning. The world’s human populations continue to grow as does the scale of farming and ranching to meet food demand. It is a perpetual cycle. The world needs to consider sustainable options for land use that both encourage economic development and safeguard biodiversity, which means difficult decisions will need to be made. Many species like the jaguar are at stake.